Early diagnosis of depression is the goal for clinicians working with people in a clinical setting. Recovery is the second goal but, in order to reach it, better questions must be asked to gain proper perspective and the right answer to be sure a person receives the right treatment. Screening tools used to identify depression were studied in 1997 in Canada with terminally ill cancer patients. Results demonstrated when asked the question ‘are you depressed?’ the single question identified depression for every participant. More reliable screening measures are used by practitioners today with one checklist of symptomatic criteria, in particular, being put together by a psychiatrist in Massachusetts. An individual must fulfill four of the above symptoms to satisfy an official diagnosis of major depressive disorder in addition to prolonged sadness for at least two weeks. For related diagnoses such as dysthymic disorder, he or she must display two of the six symptoms in addition to general depression for at least two years. Substance use disorders: Over 20 percent of individuals diagnosed with a mood disorder also abuse or are dependent on some sort of drug. Similarly, about 40 percent of people with a diagnosed addiction also have a mood disorder. Co-occurring conditions may be difficult to diagnose because symptoms of the disorder can present themselves in a variety of combinations. 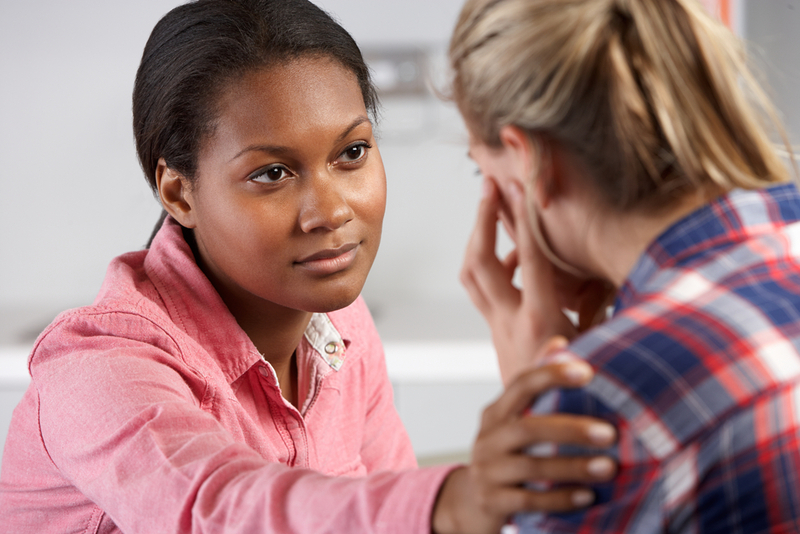 The Substance Abuse and Mental Health Services Administration (SAMHSA) supports integrated screening and assessment to view multiple disorders in context of one another in addition to other aspects of life including individual life events (pregnancy, death in the family), availability of social support, cultural influences and existing medical ailments. Friends and family can often be good at spotting the condition. Support is available in the form of counseling, treatment programs and others to provide the right pathway to recovery. Hired Power provides opportunities for individuals to thrive in spite of depression or other mood disorders. We provided many services including safe passage transport and case management among others. Contact us to find out how we can help you.